Saudi Arabia has been witnessing rapid industrialization, high population growth rate and fast urbanization which have resulted in increased levels of pollution and waste. Solid waste management is becoming a big challenge for the government and local bodies with each passing day. With population of around 29 million, Saudi Arabia generates more than 15 million tons of solid waste per year. The per capita waste generation is estimated at 1.5 to 1.8 kg per person per day. Solid waste generation in the three largest cities – Riyadh, Jeddah and Dammam – exceeds 6 million tons per annum which gives an indication of the magnitude of the problem faced by civic bodies. More than 75 percent of the population is concentrated in urban areas which make it necessary for the government to initiate measures to improve recycling and waste management scenario in the country. In Saudi Arabia, municipal solid waste is collected from individual or community bins and disposed of in landfills or dumpsites. Saudi waste management system is characterized by lack of waste disposal and tipping fees. Recycling, reuse and energy recovery is still at an early stage, although they are getting increased attention. Waste sorting and recycling are driven by an active informal sector. Recycling rate ranges from 10-15%, mainly due to the presence of the informal sector which extracts paper, metals and plastics from municipal waste. Recycling activities are mostly manual and labor intensive. Composting is also gaining increased interest in Saudi Arabia due to the high organic content of MSW (around 40%). Efforts are also underway to deploy waste-to-energy technologies in the Kingdom. All activities related to waste management are coordinated and financed by the government. The Saudi government is aware of the critical demand for waste management solutions, and is investing heavily in solving this problem. The 2011 national budget allocated SR 29 billion for the municipal services sector, which includes water drainage and waste disposal. The Saudi government is making concerted efforts to improve recycling and waste disposal activities. 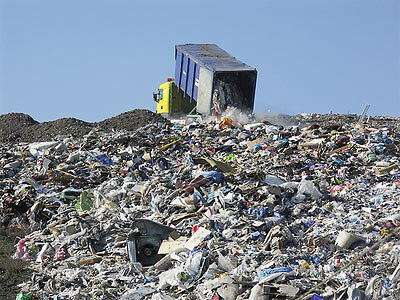 Tagged Dammam, garbage, GCC, Jeddah, KSA, Middle East, MSW, Municipal Wastes, Municipal Wastes in Saudi Arabia, Riyadh, Saudi Arabia, Solid Waste Management, Solid Waste Management in Saudi Arabia, solid wastes, Urban Wastes, waste generation, Waste Generation in KSA, Wastes. Bookmark the permalink.